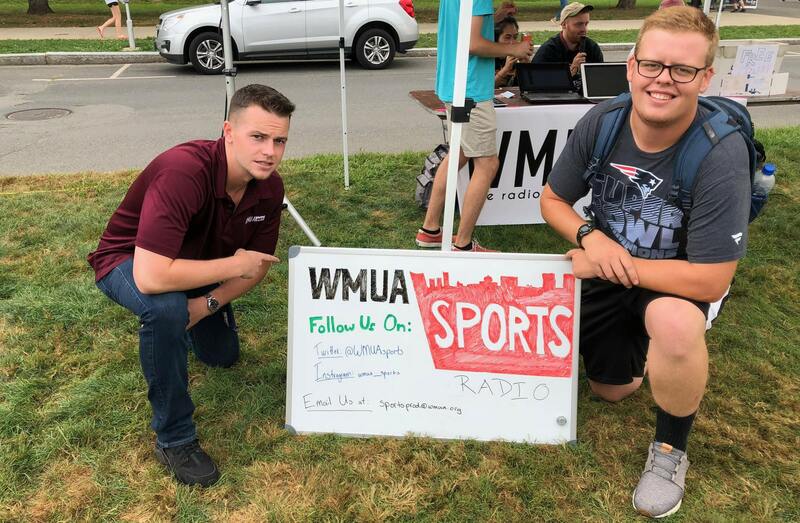 WMUA Sports Department broadcasts for a wide range of athletic programs here at UMass. 91.1 FM is the flagship station for UMass Minutemen Lacrosse. You can also listen to live game broadcasts for UMass Football, Men’s and Women’s Basketball, Hockey, Baseball, and Softball. The “Sports Block” for weekday programming is from 11:00 AM- 11:30 AM. For a full hour of UMass and other sports talk tune in to “Sportsline” on Wednesday at 4:30 PM. Coming soon will be a podcast page for the Sports Department where you’ll hear a broader range of sports topics for discussion.